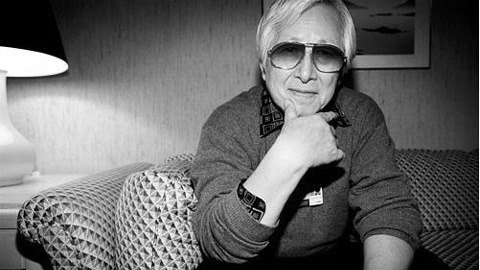 He changed the face of Japanese action cinema forever with Battles Without Honour and Humanity and its many offspring in the early seventies, but the last two decades Kinji Fukasaku's career increasingly became that of a journeyman director, albeit a very successful one. Now with Battle Royale, the film that shocked a nation with its violent portrayal of a future society where juvenile delinquency is eradicated by extreme means, the director is back doing what he does best. Even at 70 years old, Kinji Fukasaku continues to make films that shock, grab, and disturb the viewer. TM: Is Battle Royale a warning to the youth or advice? [Long silence] You know, both those words sound very strong to me, like things you would very actively set out to do. But I didn't make the film which such strong thoughts in mind. This film is a fable. The themes which are included in the film are very much realistic modern issues, youth crime is a very serious issue in Japan. It's not that I'm not concerned or not interested, but those simply form the basis of the fable. TM: I asked specifically about it being a warning or advice, because the film ends with a very strong message: "Run". It came across as being very positive. That was the conclusion of the fable that was developed throughout the film. I guess it could be seen as a message. I took your question as having a much stronger meaning than just a simple message. That's why I answered that it wasn't particularly a warning or advice. To me, these are greetings to the young people. Those were my words to the next generation of young people, so whether you take that as a message or as a warning or as advice is up to you as the viewer. TM: In the film you're taking these children, contemporary children, and putting them through wartime experiences. Maybe they are similar to the kind of experiences you yourself lived through in World War II or right after. Is there a reason behind this? Do you feel living through those experiences builds a person's character? The young people's existence in the current time in this world presents different issues. To themselves as well as to others, the adults. Looking back to when I was fifteen I went through a certain period and experience. For this film I posed myself the question "How would that be for these young people?" I am fully aware that there is a generation gap between where I stand and where those kids stand. How we fill this gap was one of the issues we had to deal with during the actual shooting of this film. So I wondered what the significance of making this kind of film in today's Japan would be. What sort of result or conclusion would that bring? To be honest to you, that was something I had to wait for until the film was actually made. When I mentioned it wasn't as strong as a warning or advice, I couldn't answer your question in a strong, positive way, that this was the message or that. It was just my way of talking to them, saying some words to the children. TM: Was it a problem for you that many children couldn't see the film as a result of the R-15 rating it received from the ratings board? Because of my own experiences as a fifteen-year old, and also through the original novel which sets the story around fifteen-year olds and then the actors who were all cast around the age of fifteen - although there are differences, some are older - the R-15 decision by Eirin naturally was something I couldn't accept. I did lodge a complaint and asked for a review. However before this issue with the censor board came to any kind of conclusion, we had an interjection from the parliamentarians who alleged that this film is very harmful to the youth. Then there was also the question cast by them as to the validity of the organisation and system of the censor board itself. Because Eirin is a self-regulatory censor board and board members are selected by the film industry. So I had to withdraw my objections against the censor board for the time being in order to fight the parliamentarians. Therefore the issues which are still pending with the board will have to wait until I get back to Japan after the festival. I want to explain just so there will be no misunderstanding. These censor board members are elected by the film industry. Japan went through an experience during the war of being oppressed by different government regulations as well as after the war, when we were subjected to a different kind of very painful experience of oppression by the occupational forces. The censor board has a role to play to actually appeal to society by self-regulating with a strong message: that we oppose any government regulation or repression as well as any restrictive measures by the police for example. In this sense I don't believe Japan is unique. This stance is prevalent all over the world. TM: You call the film a fable, but I feel it's certainly a political fable. It's very interesting that the politics of the government in this film are very conservative or reactionary and that they are the ideological opposite of the politics you questioned in your films from the sixties and seventies. There the politics seemed to be more progressive, wanting to rebuild Japan and move forward. If you talk about the reconstruction of Japan after the war, the most important objective for the government at the time was to really rebuild Japan, so in that sense you may consider the attitude of that government progressive. However if you put the spotlight on the people, also the situation I went through, I could not help being very interested in the fact that people were actually going in the opposite direction, in the interest of the government's banner of reconstruction of Japan. Because the government was very keen on, and pre-occupied with, the reconstruction of Japan and rapid economic growth. But I had doubts. Under that kind of situation where would the government be taking the whole nation? What direction were they taking us? Those were the questions I could never shake off and I even felt resistance to what was going on. That was very much clear in my films of the seventies. TM: So with Battle Royale you're still asking basically the same question? Where are these politics taking us? TM: A strong theme in the film is the generation gap. Especially that the older generations feel that the younger generation no longer respect their elders. But in the film, many of the children's main source of motivation is a father or an uncle, an elder figure. The fact that adults lost confidence in themselves, that's what is shown in the film. Those adults worked very hard in the seventies in order to rebuild Japan. They went through that period working for the national interest. Of course there was a generation gap between the young and the adults, even throughout that period, but consistently adults were in control in terms of political stability and whatever was happening in the nation. However, since the burst of the bubble economy, these same adults, many of them salarymen and working class people, they were put in a very difficult position with the recession or economic downturn and all of a sudden most of them started to lose confidence in themselves. And the children who have grown up and witnessed what happened to the adults, their anxiety became heightened as well. So I set Battle Royale within this context of children versus adults. TM: It also seems to me that the children in the film are trying to do good toward their elders. For instance the stranger in the class constantly credits his father for something he is good at, another says he is able to make molotov cocktails because he was taught by his uncle and so on. For these boys, the older people are not right there by their side to give advice. They are a very distant presence. They have gone off to an area from which they will never return. Take the father who hung himself. He told his son the message to "go for it" and "you will make it", but he is no longer there. In the classroom, the teacher is not even liked by his own daughter and then he loses his affection for the children who are of the same generation as his daughter. All these things are dramas unfolding in front of the children. But these adults behave at their own whim. They have their own thing to do, their own logics or arguments or emotion. Not to any specific purpose. They are just running wild as it were with their own feeling or whatever they wanted to do or didn't want to do. The impact of those adults' behavior on the children was something that was interesting. TM: The generation gap was also a theme in a film you made about ten years ago, called The Triple Cross. But there it seemed to be the opposite situation, you seemed to be on the side of the elders. Yes. You say that I was on the other side, but the young people in that film were not fifteen years old, they were all in their twenties. Even if they were in their twenties, they didn't really have a significant purpose or a standing of where they wanted to go. And they would go really far off, to the point of anarchism in order to support the bond that they had. Even if that meant at the expense of the lives of some of their friends. JS: I want to go back to the sixties, and one of my favourite Japanese films, Black Lizard. The story was written by Edogawa Rampo, but it was an adaptation by Yukio Mishima. I wanted to know what it was like to work with such a well-known figure. (laughs) I was very attached to Mishima's literature, especially the book Forbidden Colours. It's sort of similar to a film called Death in Venice, the generation gap is a common thread in this story as well. Although there isn't any common thread with this book, I was very interested in Mishima's plays. Black Lizard was one of them, as well as a series of modern Noh plays. I had the same strong interest in these plays as in his prose, therefore Mishima was very much of interest to me. I do not know the other side of Mishima, but as far as making Black Lizard is concerned, I remember talking with him about making this film with Akihiro Maruyama. He was very happy that this actor was selected to play that role. The play was written about ten years before Maruyama started playing the lead role on stage, and the role was also played by many other female stars like Yayako Mizutani and Machiko Kyo, but they were not particularly interesting in terms of the play. Mishima particularly was fond of the production in which Akihiro Maruyama performed. Rather than great actresses, and even though Maruyama was not a veteran actor on the stage, Mishima seemed very, very happy and felt closest to his play through the performance of Maruyama. I too felt very moved by Maruyama's performance in the stage production of Black Lizard. I really enjoyed his performance far more than those of any of the other so-called stars, female stars. I mentioned this to Mishima and I remember we had a really interesting, warm atmosphere when I talked about that with him. You know, Black Lizard, Battle Royale, the Battles series, those always warrant a lot of time to discuss. Every time I talk about them, no matter who interviews me, we don't have enough time and I feel very sorry about that.